If you love a big screen but don't want to sacrifice space to accommodate a TV, set up your smartphone instead! Given that it uses only a few recycled materials, how can you afford NOT to make this DIY? Having a TV is great—except when you’re not using it. Then the box just sits in your living room, idle and unappealing, upsetting the room’s feng shui. The average American may binge on five hours of television a day, but what good is a big screen if you’re part of the minority that tunes in only once a week? When we show you this smartphone hack that lets you eliminate the need for a screen and still enjoy your favorite programming, you’ll definitely consider downsizing. 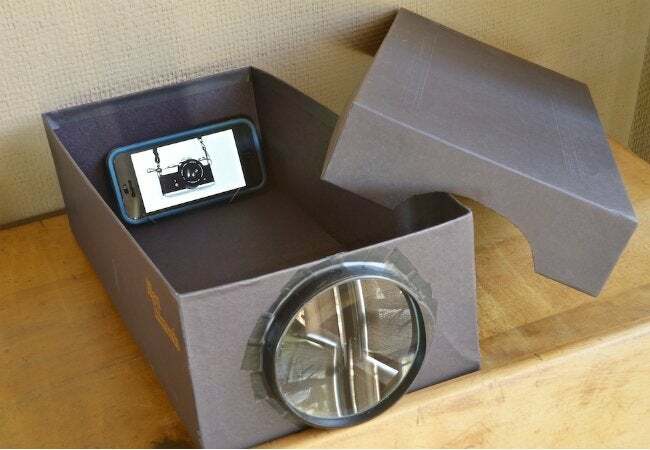 To turn your phone into a projector, all you need are a handful of leftover household supplies—an empty shoebox, duct tape, magnifying glass, construction paper, and a paper clip—and an unused white wall. First, cut a hole the size of your magnifying glass lens in the side of the shoebox, pop in the lens, and secure it with tape. 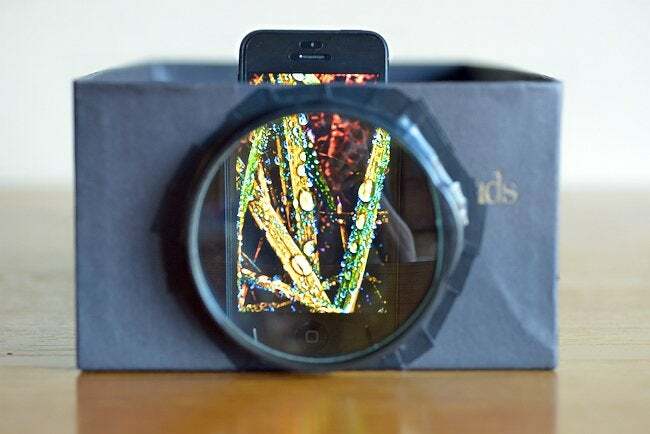 Then, cover up the inside of the box with black construction paper to frame the magnified image better. Once your casing is assembled, just bend a paper clip into a stand to hold your smartphone upright inside the box. Finally, open your video-playing app of choice, turn the brightness all the way up, and slide your phone closer or farther away from the lens to focus the picture. All that’s missing in this tutorial from Photojojo is how to make movie-theater-quality buttered popcorn.